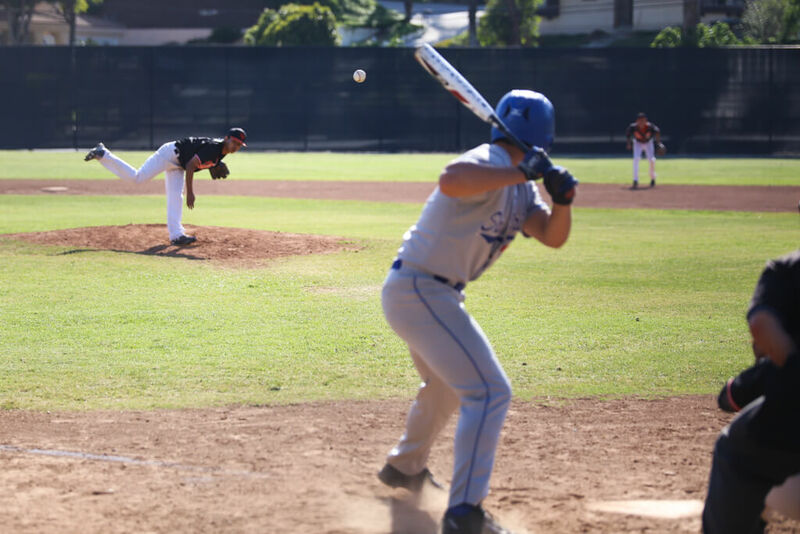 Baseball began its summer season with an 8-6 victory against Eagle Rock on Saturday, June 17. The Tigers put together a unified effort, quickly gaining an early lead and retaining it for the win on their home diamond. Fielding a young team, the Tigers quickly asserted their dominance, as junior Noah Parker held the Eagles to just one run over four innings. Parker mixed and matched pitches with ease, striking out many batters while utilizing his defense to perfection. While Parker held down the fort, the Tigers’ offense did damage early on. In the bottom of the first, freshman Noah Takeda-Teer made his impact known with a two run single that brought home Parker and sophomore Sammy Luna. Freshman Dillon Hugasian singled down the left field line to score freshman Michael Lee in the second inning, increasing South Pas lead to 4-0. Going into the sixth inning, the Tigers maintained high morale and a comfortable 8-1 lead. But with a few singles, walks, and wild pitches, the Eagles crept back into the game. Eventually a pop out to Luna would stall the Eagle assault, ending the sixth with an 8-4 score. With tensions rising, junior Adam Schroeder relieved Lee on the mound in the top of the seventh. A tight strike zone allowed two walks and an infield single to load the bases with zero outs. The Eagles managed to drive home two runs on a single, but with men on second and third and just one out, Schroeder got an Eagle to ground out before striking out another, closing out the game. The Tiger win shone a light on the many new faces contributing alongside the South Pas experienced players to earn the victory. The capabilities of the freshmen were a highlight throughout the game, both offensively and defensively. “As a junior in high school and as an experienced baseball player, it really surprised me how talented this freshman class is. I am looking forward to the next couple of years,” said junior Dylan Benton.